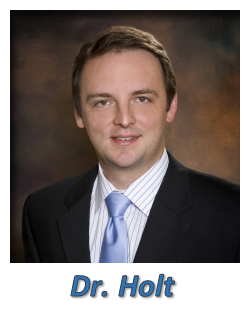 Dr. Holt is a Board Certified General Surgeon and Board Certified colorectal surgeon. He specializes in colorectal procedures, both laparoscopic and open, perianal diseases and colonoscopy, along with general surgery procedures. Dr. Holt and his wife, Paige, a plastic surgeon, live in Bloomington with their four children. He enjoys St. Louis Cardinals baseball, soccer, and football as well as playing golf, reading and most of all playing with his children.